The BLACKHAWK!® PRL is designed to act as a personal lanyard when operating from helos, ships or at dangerous heights. Attach locking carabiners to each end. 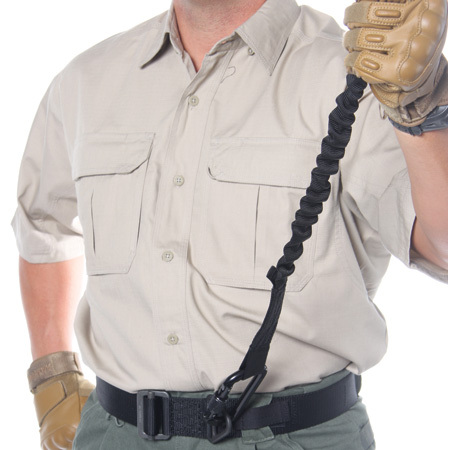 One side clips to your CQB belt or rappel harness and the other end attaches to anything solid. THIRD PARTY TESTED TENSILE STRENGTH IN EXCESS OF 1500 LBS! CAUTION: Test, practice, and be aware of capabilities prior to “real world” use. Each situation and weight load is required to have proper planning and testing. Single person use only.